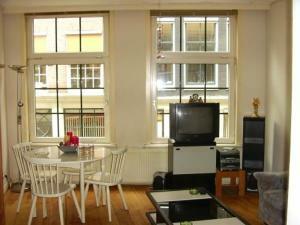 Av Apartments, Amsterdam discount hotels and accommodation. The apartments are located in the centre of Amsterdam, only a few minutes walk from the Central Station and the Red Light District. The self-catering apartments have a cosy 'English Pub'. We serve a lot of typical English dishes like English Breakfast, Shepperds Pie and Curry etc. In the neighbourhood you will find a lot of coffeeshops, cafés, and museums. View photos, room descriptions and make online reservations at Av Apartments. Save on room prices at Av Apartments, Amsterdam.